BATON ROUGE, LA (WAFB) - Even though Monday is the final day for people to register for FEMA aid, there were not that many people at Celtic Studios in Baton Rouge. 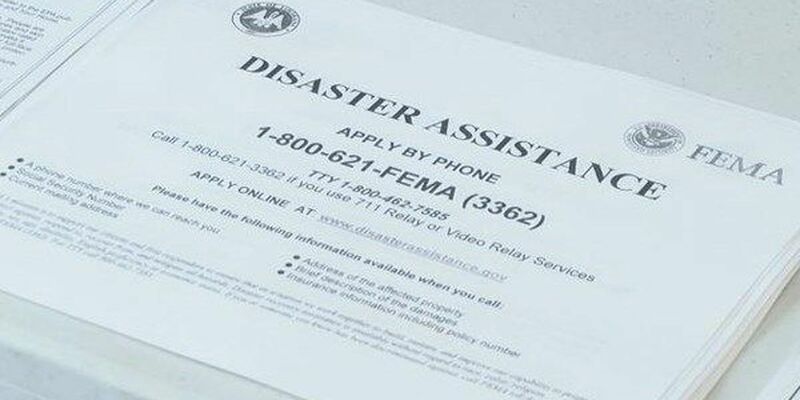 People have until 10 p.m. Monday to register by calling FEMA's helpline at 1-800-621-3362, but the deadline to register online at disasterassistance.gov is at midnight. FEMA's waiting room at Celtic Studios, one of the largest recovery centers, was empty for most of the afternoon Monday. Representatives said they did not see a last-minute rush by people trying to register for aid before the Monday deadline. Ray Perez, a representative with FEMA, said most of the flood victims that needed help took care of business early on. "We have 152,000 families and individuals who have registered, but we hit 125,000 to 130,000 within the first couple of weeks," Perez said. "And that's another reason why it's time to go ahead and close out the registration period because the numbers don't justify another extension." Monday is also the last day to submit an application for a loan with the Small Business Administration. Mickey Christensen completed his application for an SBA loan Monday because he was still trying to figure out whether or not he needed one. "The loan has been going pretty good except that I had a deal set up with my financial planner that's a little more interest but it doesn't have all the red tape and strings attached to it that the SBA, dealing with the government has," Christensen said. Christensen said he would go home Monday night and sleep on that decision. If he decides he doesn't want the SBA loan, he can cancel it. Even though SBA and FEMA assistance end Monday, Celtic will still be open Tuesday. FEMA said it is one of the 14 remaining disaster recovery centers that will stay open until they feel they are no longer needed. They will handle appeals, and help victims with any questions they have concerning their assistance. Sandy Meisenheimer went Monday to complete her rental insurance. She is renting another home while her house is being repaired. "We still have not got the final bid, and so we're just waiting and renting right now. Hopefully, we'll be back maybe by February if we can get the bids back in," Meisenheimer said.